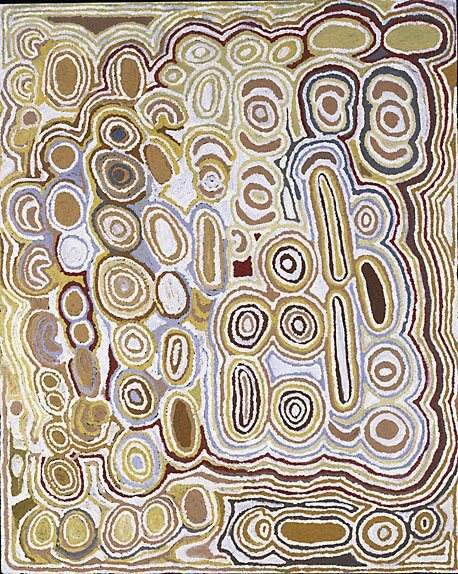 This painting depicts the travels of a large group of women to Pinari and Watanuma rockholes, north-west of the Kintore Community. The women camped at these sites singing the songs and performing the dances associated with the area. They also gathered the edible berry known as kampurarrpa which grows profusely in this area.